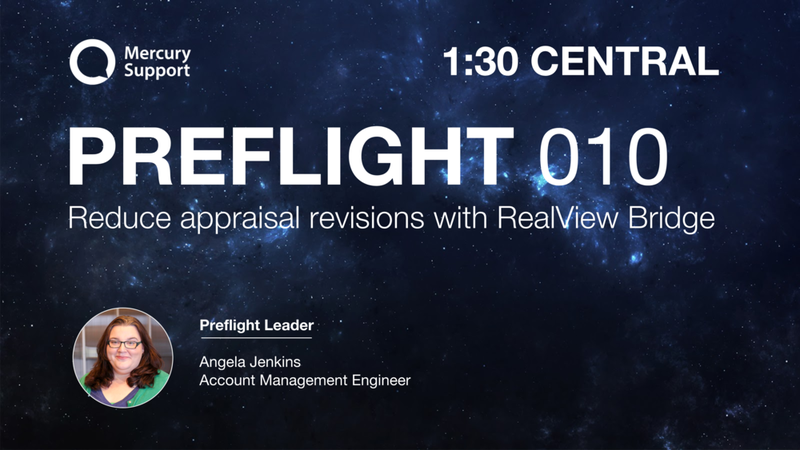 Watch the recording for this Preflight, where we discussed RealView Bridge, which is a brand new component of RealView - our popular QC tool. By starting your QC process before the appraisal is delivered, you can dramatically reduce revision requests. We'll show you how it works and give you the tools to get started using it right away. Angela knows pretty much everything about Mercury Network, but more than that, she knows how it can enhance your specific workflow. Come ask your questions so Angela and our other experts can help you get the most out of Mercury.